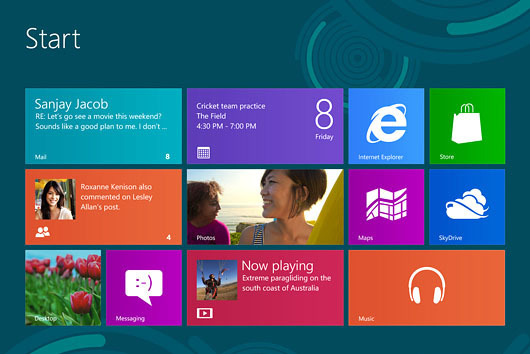 Today, on 26 October 2012, Microsoft has released its highly anticipated and latest OS - Windows 8. So whats new with this latest operating system by Microsoft? Well, actually everything is. Windows 8 promises a completely new PC experience than any other Windows OS released before. 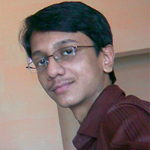 Windows 8 is styled for tablet PC experience and that is why there is no start menu. Instead there is a start screen. Windows 8 also features touch interface in a much better manner than Windows 7. These two features can be an issue for some users. The general functions are also altered at some places like right clicking your mouse button will open a start tab on the bottom of the screen and so on. Also Windows 8 doesn't directly boot to desktop. All you see is a start screen in your first visit to Windows 8. Yes you can obviously use a desktop by pressing Windows+D keys. But when you will boot your PC, the first thing you will see is the start screen. There you would get titles of all the apps/software/programs available on your PC. So in short Windows 8 offers a completely new experience which can be called 'cool' in many ways. Before buying your Windows 8 copy or upgrading your existing Windows version, you should read this Windows 8 review. Windows 8 is a damn better and upgraded windows OS than XP and 7, but there are many reasons why you would not be able to take full fun of it. One of them is compatibility issues. Basically Windows 8 have the same requirements as Windows 7, but to take the full advantage of some new featuers of Windows 8, you would require a more powerful PC. So be sure to check if your hardware specifications are enough for Windows 8 to run smoothly on them. For example, if you want to take advantage of touch interface, then you would have to get a compatible display device. Previously a developers preview version was released for testing out Windows 8 which can be downloaded from here. This download contains a 90 days trial version of Windows 8 for developers. It is my recommendation that before buying and installing the full version of Windows 8, you should try out the trial because Windows 8 is completely different from other Windows versions and there may arise reasons for you to want to go back to XP or 7. But remember that this trial version will expire and you cannot upgrade to full version from this developers trial. You will have to go back to a non-trial windows version before you can upgrade your OS to the full version Windows 8. So here, I recommend you try out Windows 8 on Virtual Box. If you do not know about Virtual Box, then comment below and I will be sure to help you out. And if you are ready to jump in the Windows 8 experience, then just visit windows.microsoft.com and buy yourself your Windows 8 copy today!